The older I get, the more appealing nostalgia becomes and the more I yearn for the much simpler era of my childhood and youth. I’m not naïve enough to believe that the past was all wine gums and rose flavoured candies, because I know all too well that the memory can be a devious devil and favours the moments it cherished over those it loathed, but even taking that into account, it doesn’t change the fact that being young was far less complicated and arduous than being an adult. Yesterday really was better than today and I’m willing to bet ten pristine packets, complete with the harder than adamantium pink bubble-gum, of Tops Stars Wars cards that it’ll be better than tomorrow too. 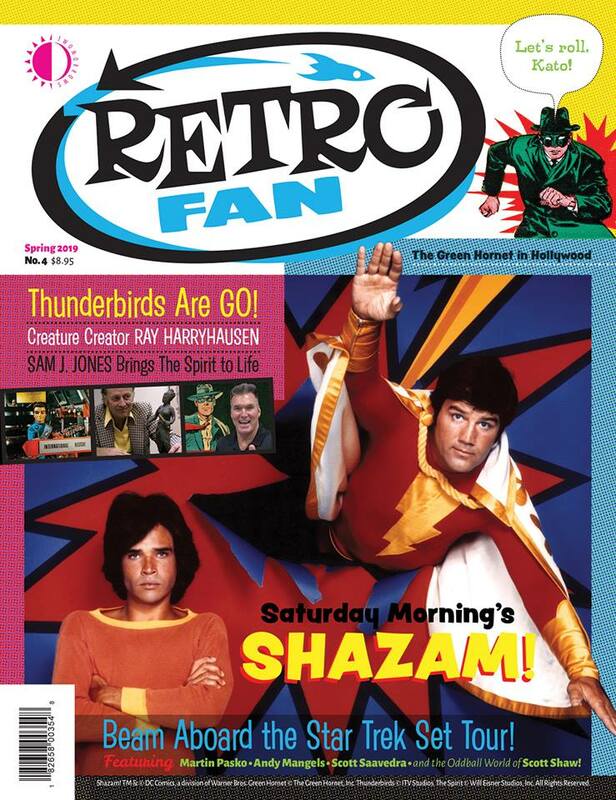 That feeling of longing for yesteryear is almost certainly the reason I that I look forward to every issue of Retrofan with sheer, unadulterated joy, because I know that it’s pages will transport me back to the time my psyche longs for better than any Mr Coffeefied, plutonium powered DeLorean ever could. This morning, the fourth issue of Retrofan turned up in my inbox and despite the fact that I should have been doing a hundred other vitality important in the real world things, I opened the first page and spent the rest of the day immersed in the cultural phenomena of the sixties, seventies and early eighties. Today was, as Ice Cube once said, a good day.